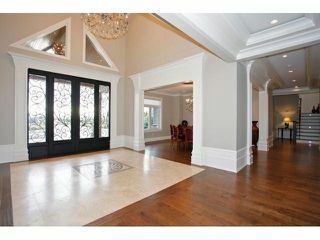 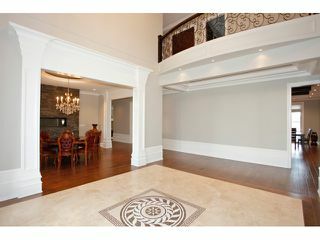 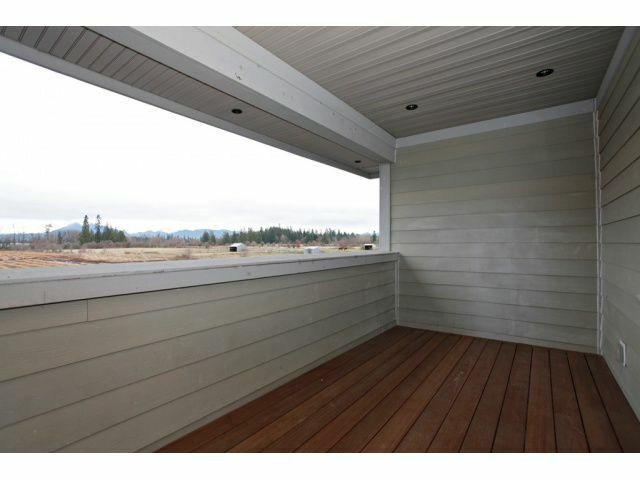 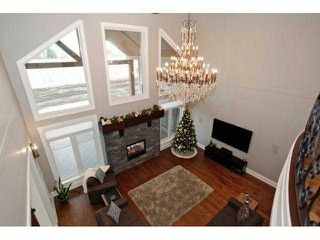 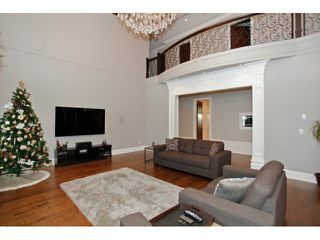 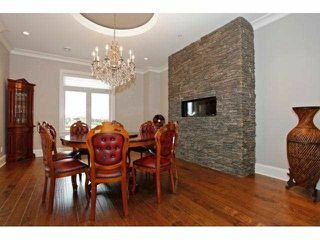 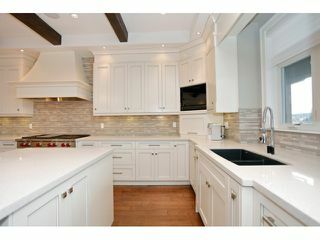 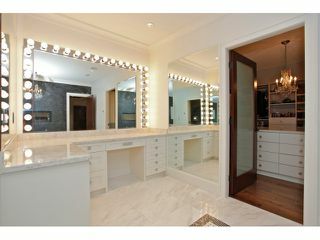 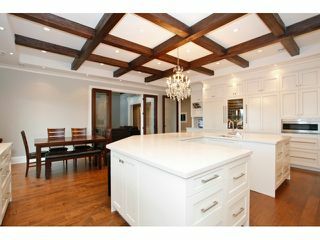 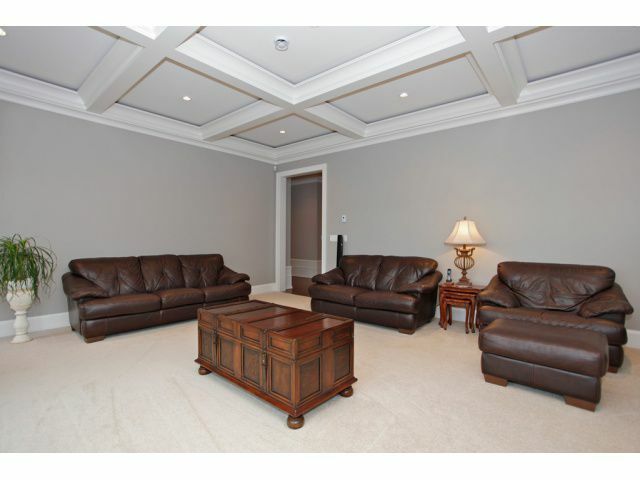 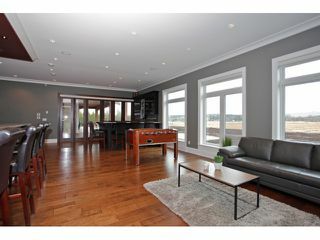 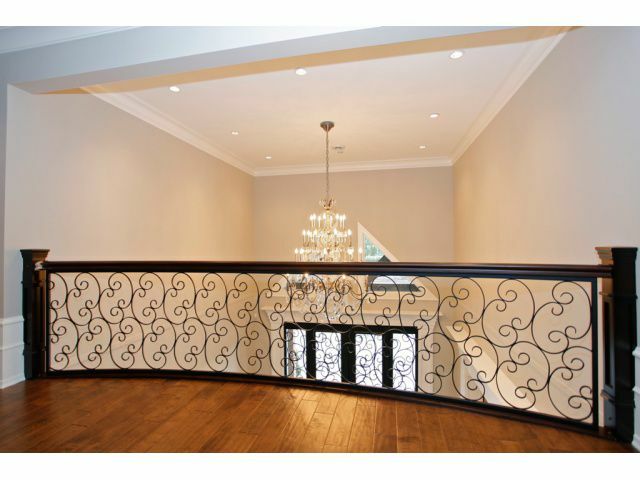 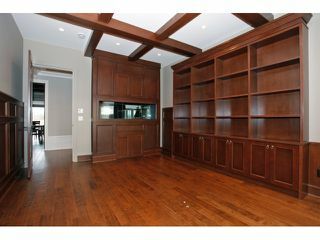 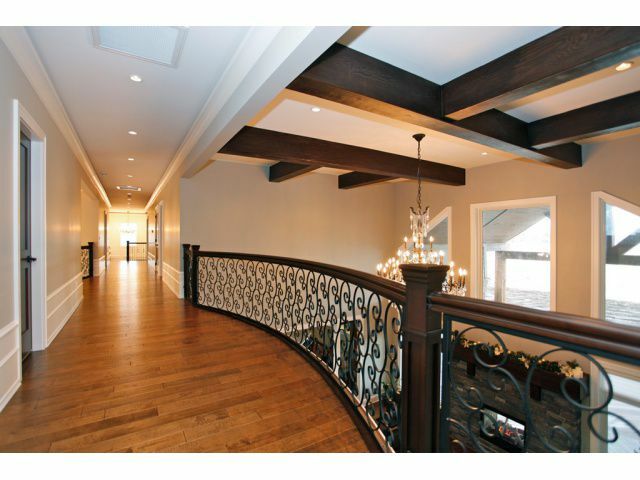 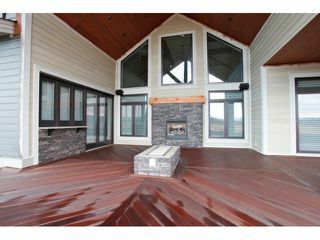 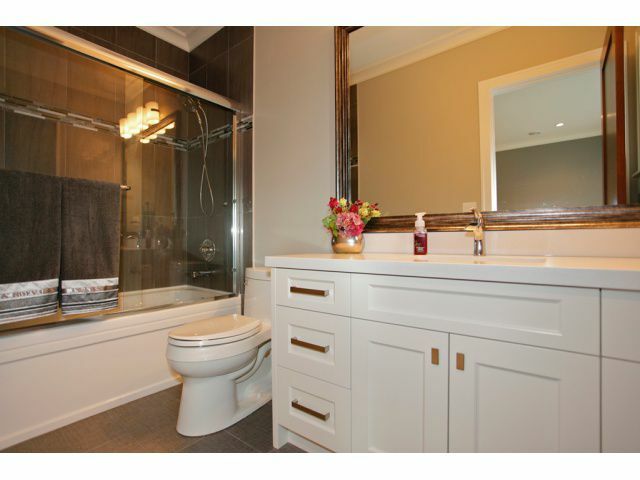 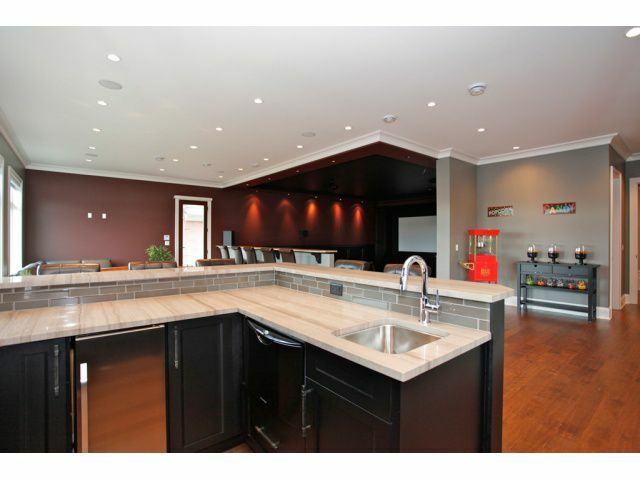 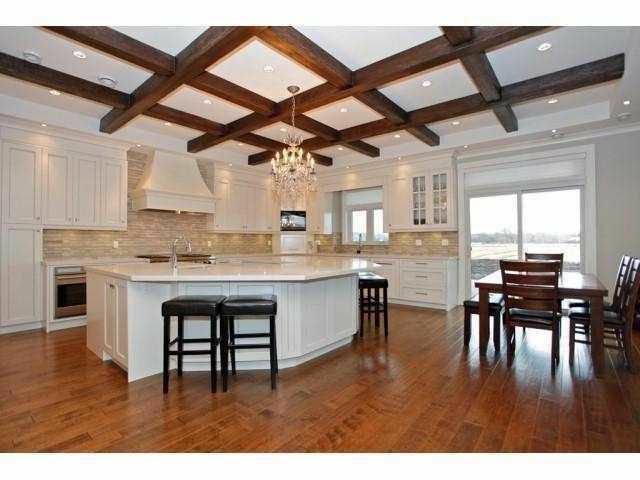 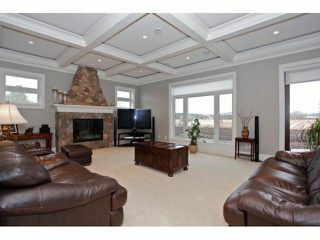 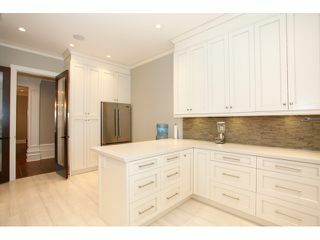 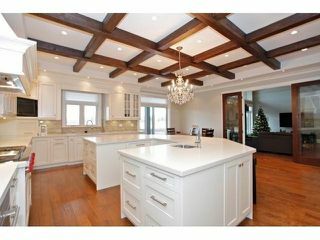 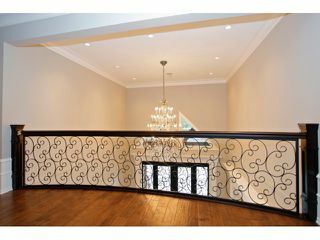 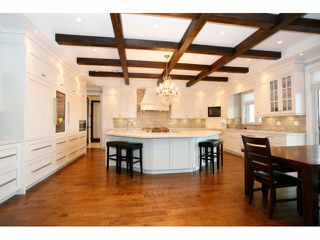 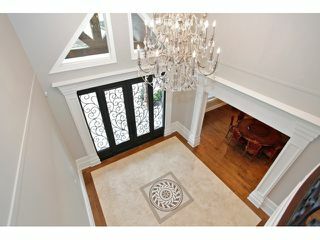 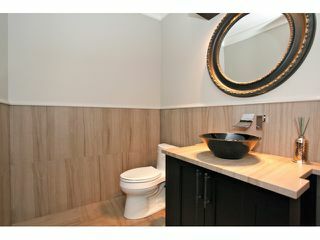 No detail has been overlooked in this stunning 8704 sq.ft. 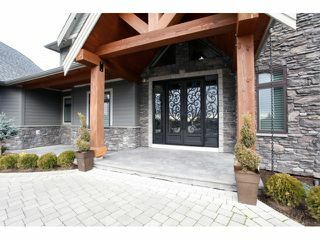 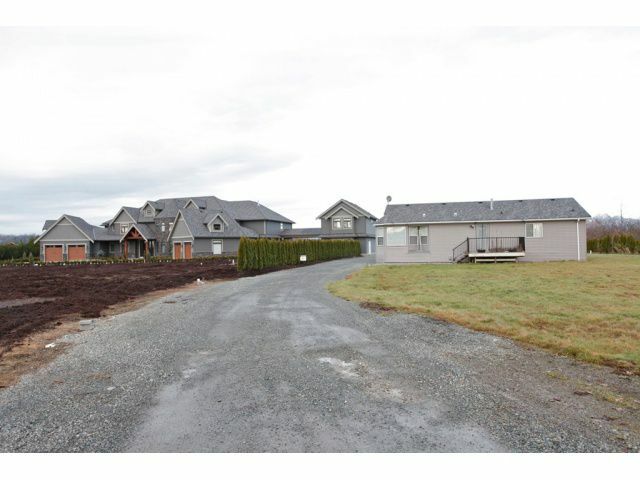 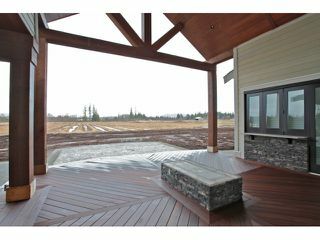 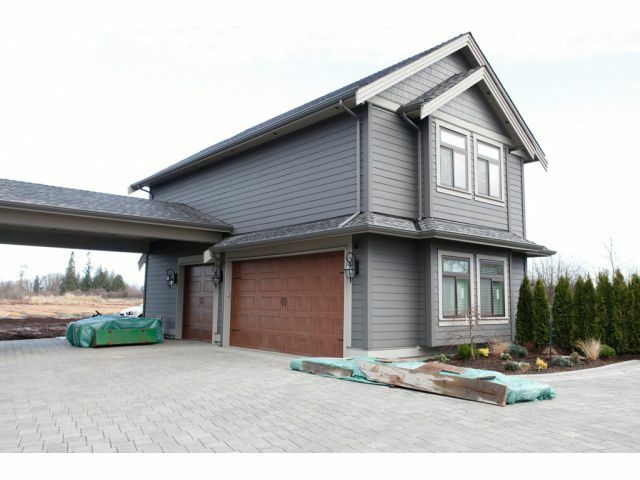 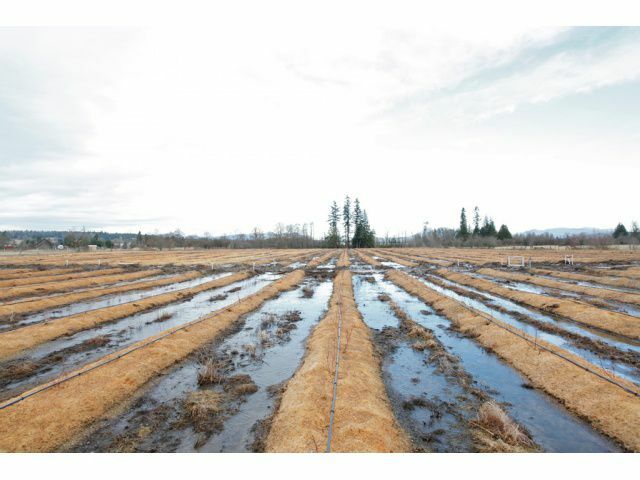 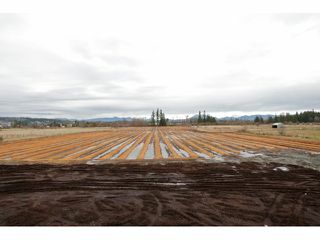 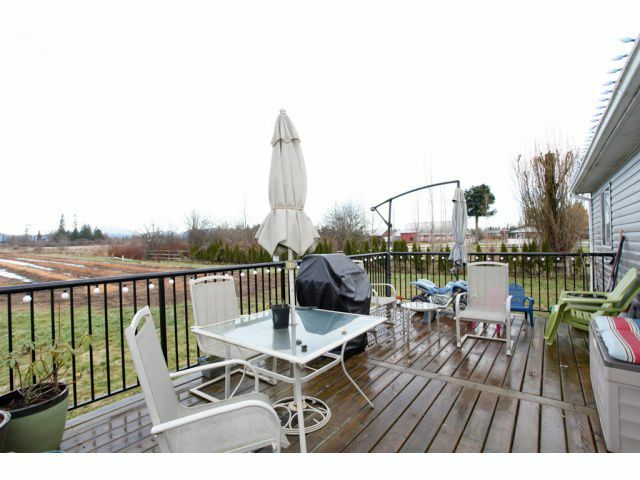 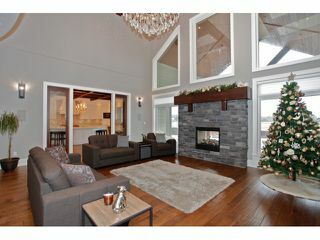 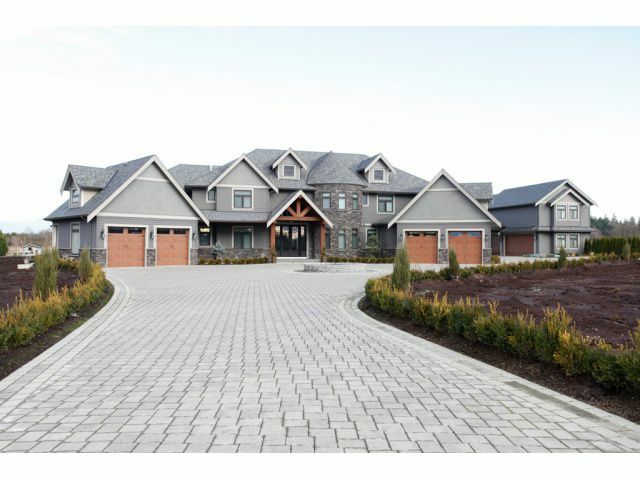 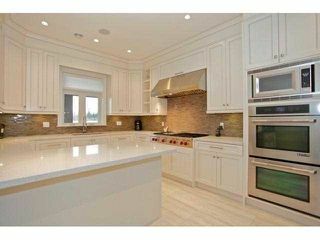 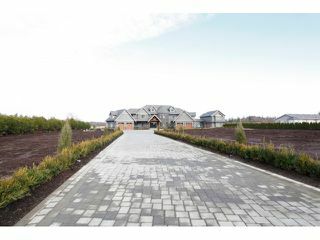 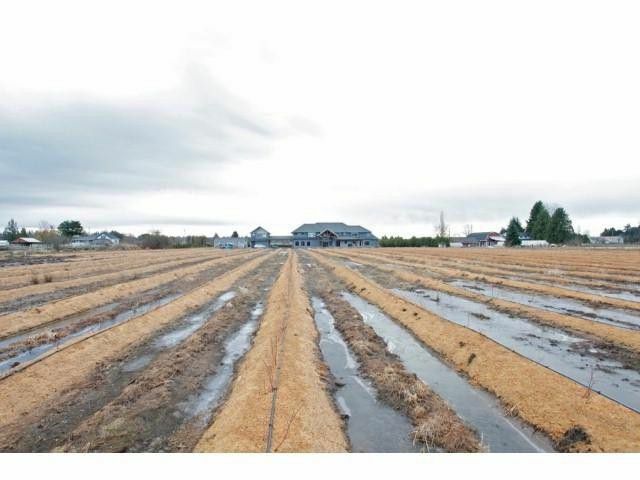 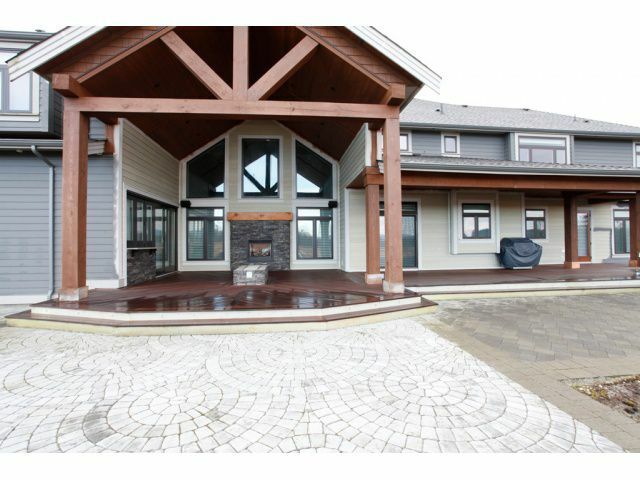 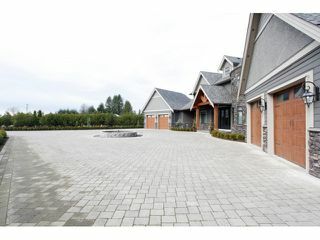 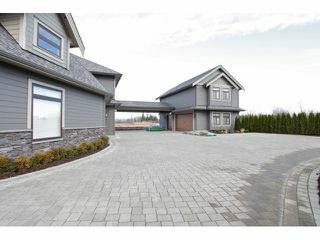 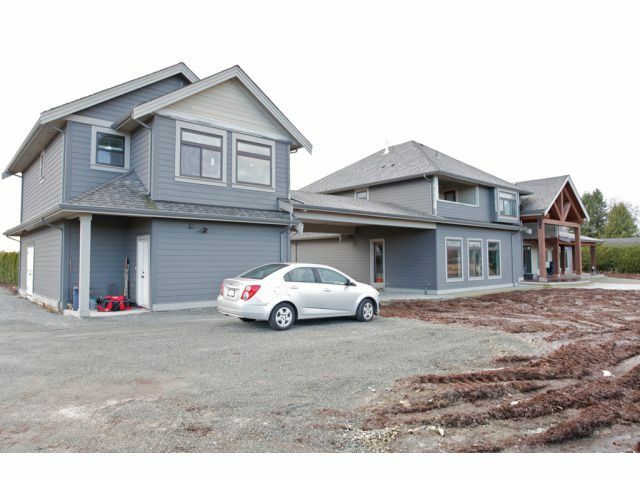 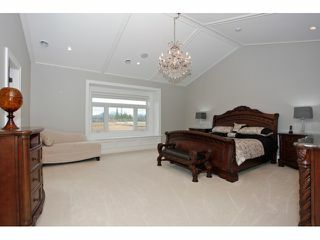 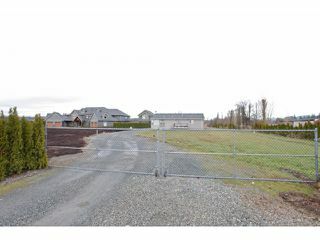 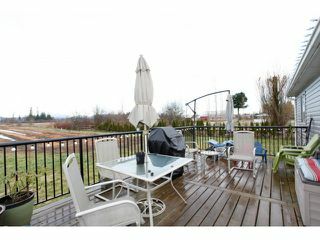 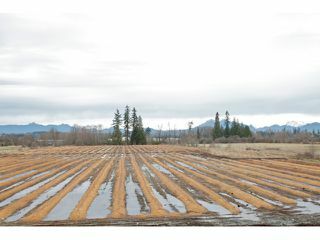 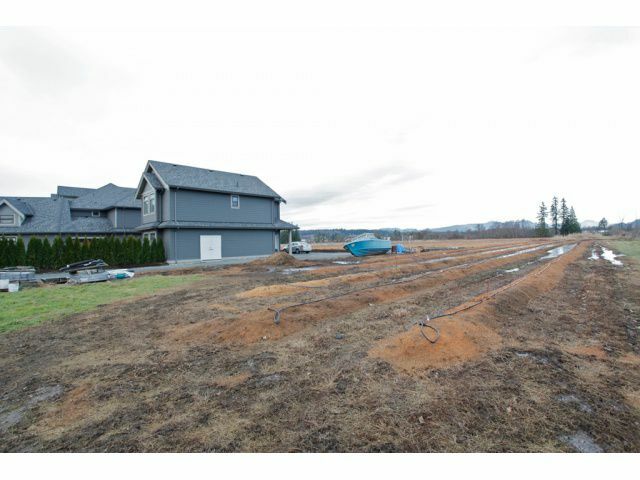 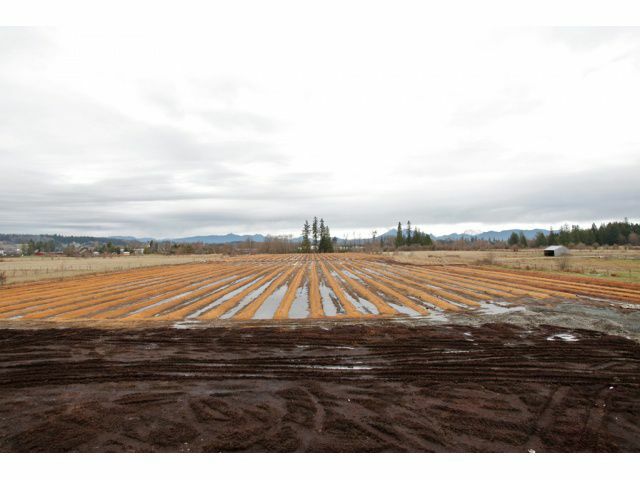 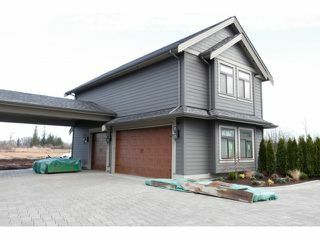 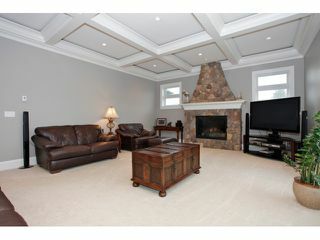 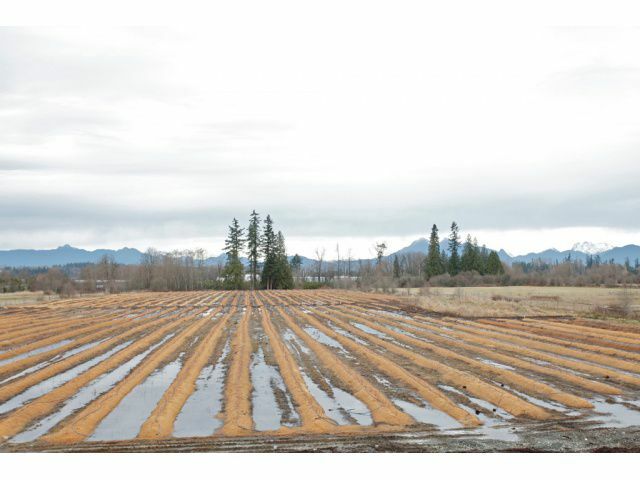 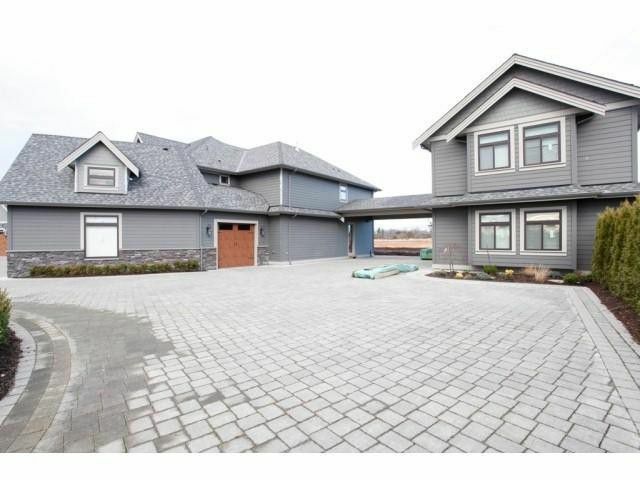 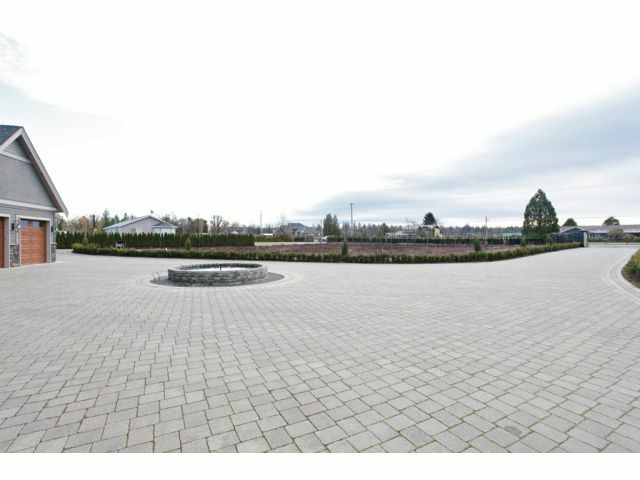 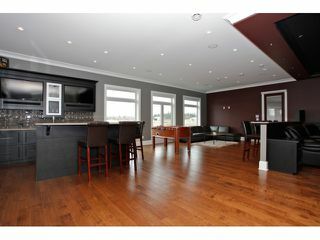 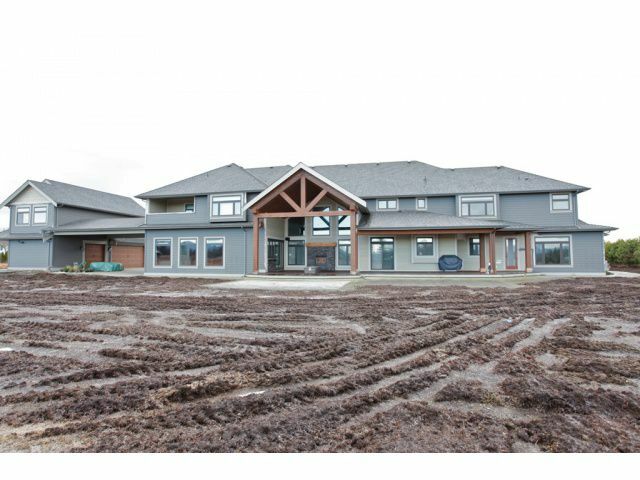 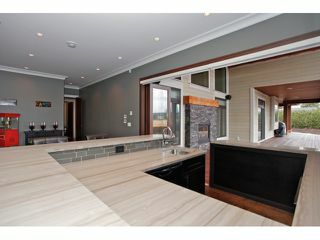 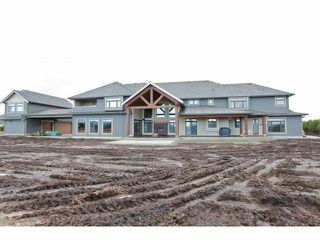 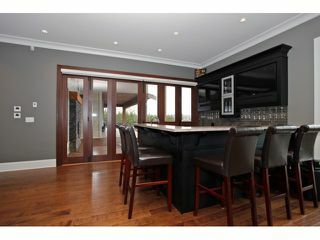 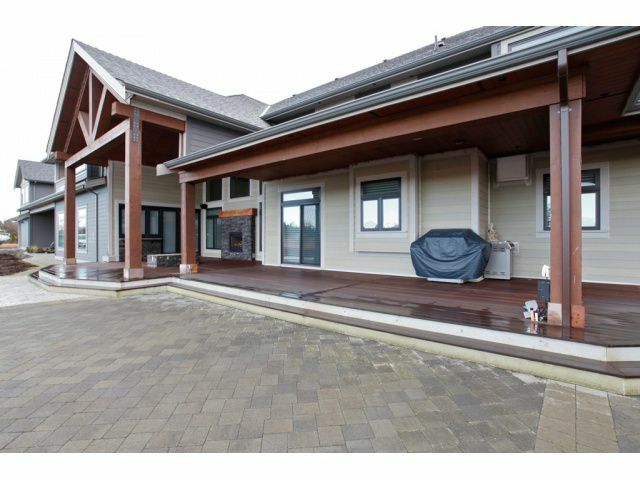 executive home with view of Golden Ears Mountain on 11.75 acre blueberry farm! Cobblestone driveway with circular fountain leads to custom made 10' glass and iron front door. 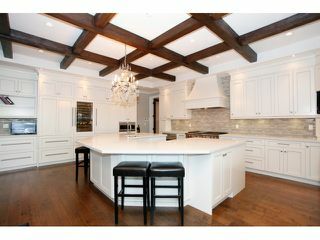 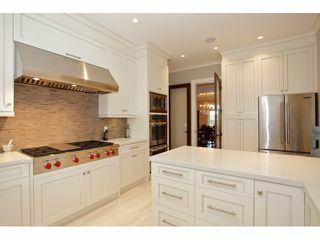 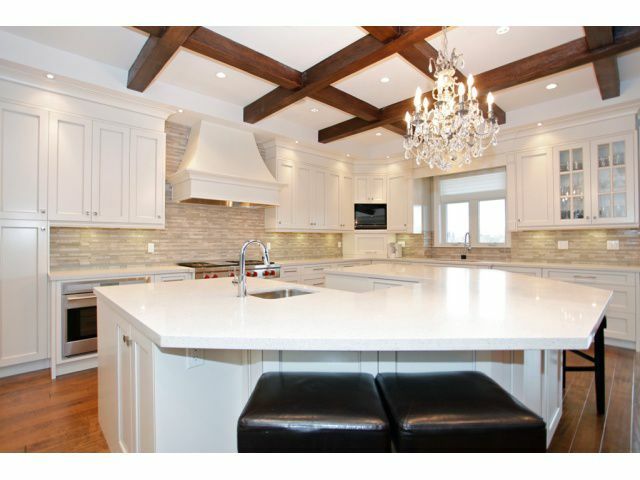 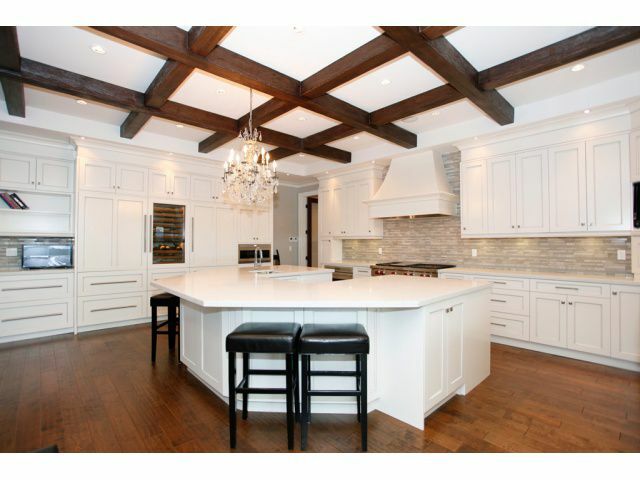 Enjoy two white kitchens with custom maple shaker-style cabinets & integrated appliances for the true chef, including two 6-burner Wolfe stoves & huge U-shaped island with prep sink. Two family rooms boast stone fireplaces, one with 20' ceiling. 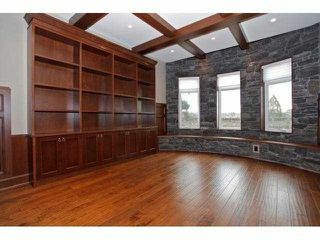 Unique curved stone-wall library with bookshelves and built-in fish tank. 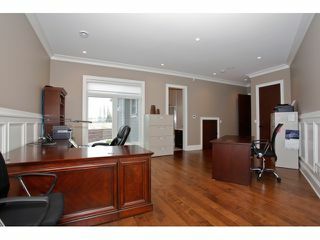 Private-entry office. 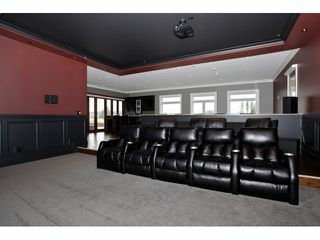 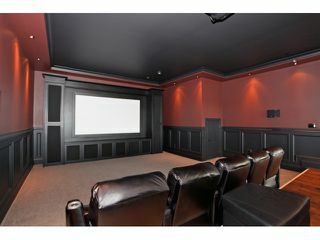 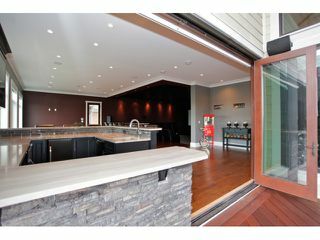 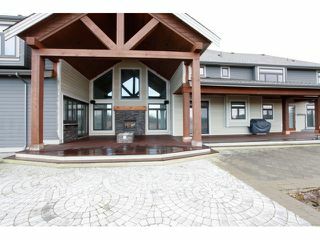 Theatre with projection screen seats 15 & indoor/outdoor bar opens to exotic hardwood (Kayu Batu) deck with vaulted ceiling and cozy gas firepit. 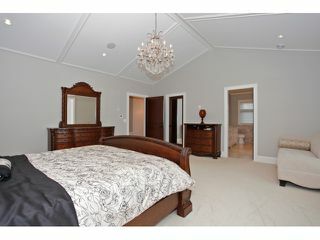 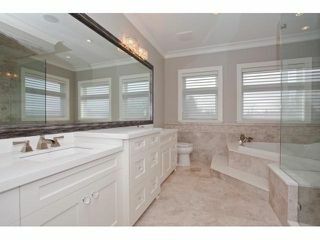 Two huge master suites with spa-like ensuites. 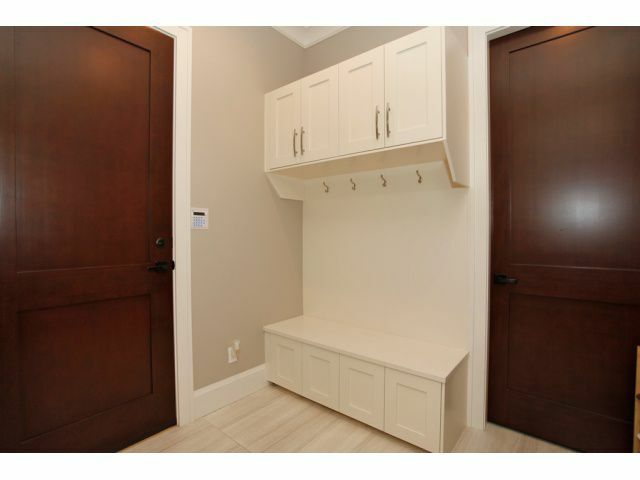 One master has programmable steam shower (up to six program options), private balcony with view of Golden Ears & huge dressing room with island and custom closet organizers. 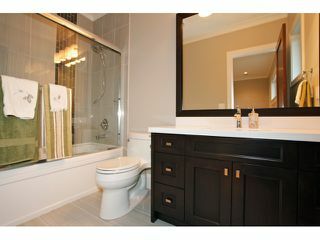 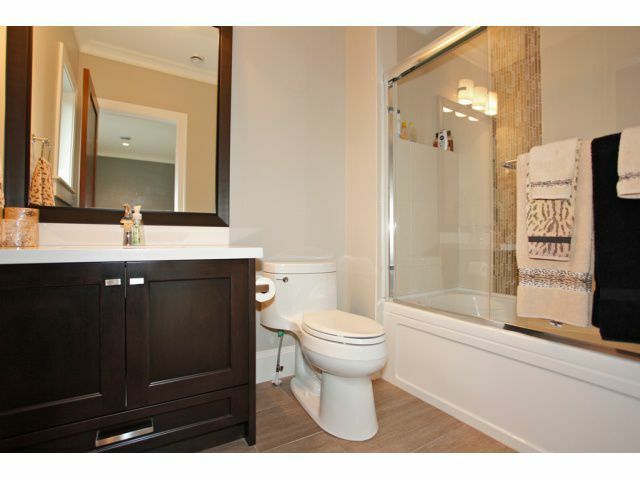 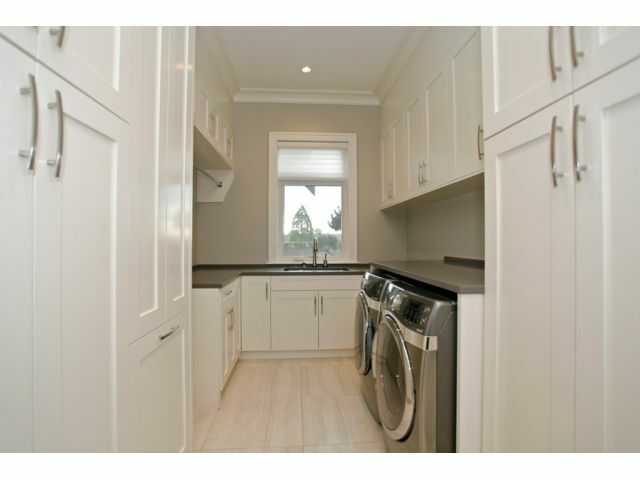 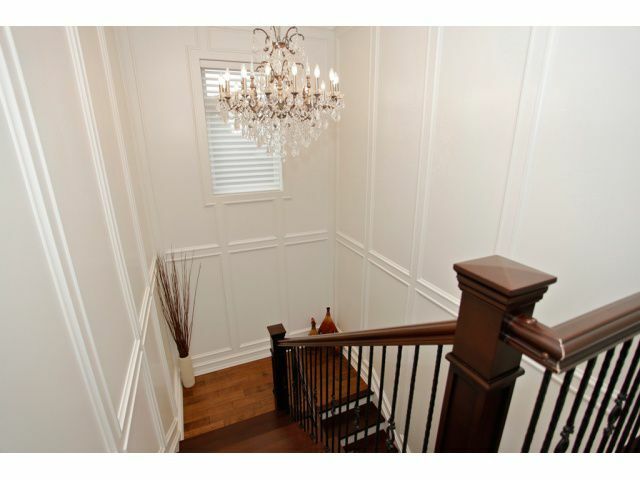 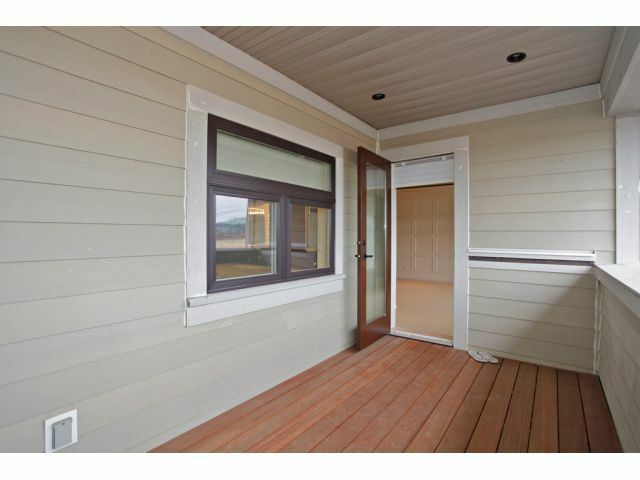 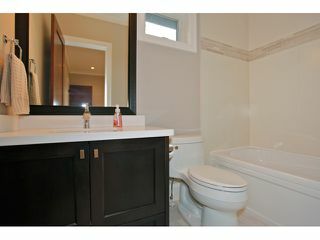 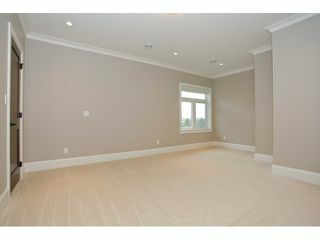 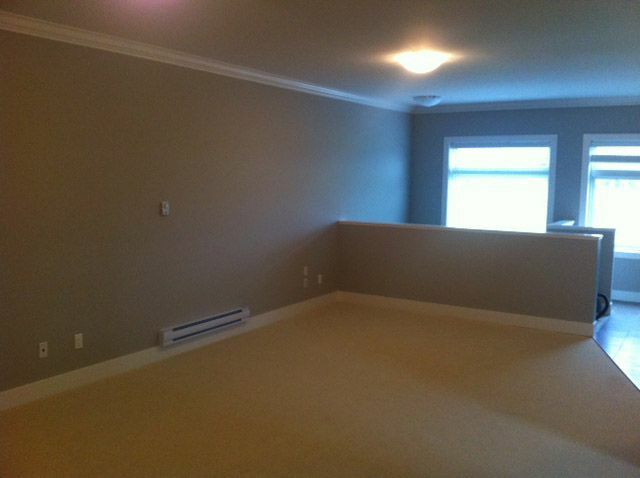 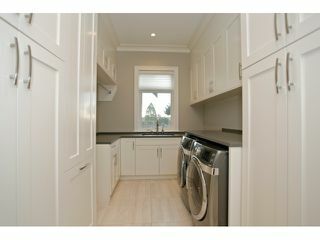 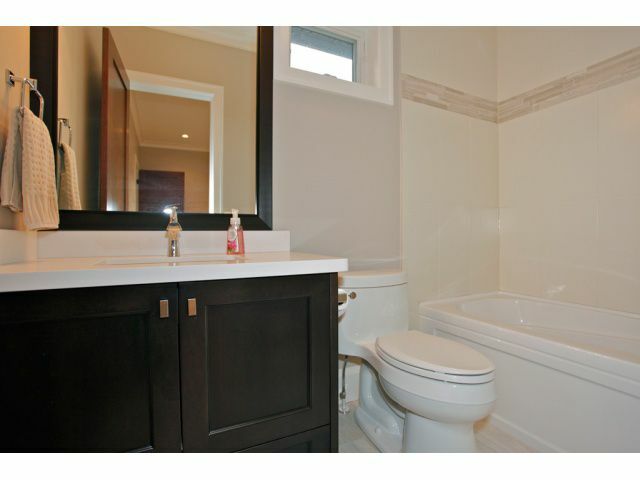 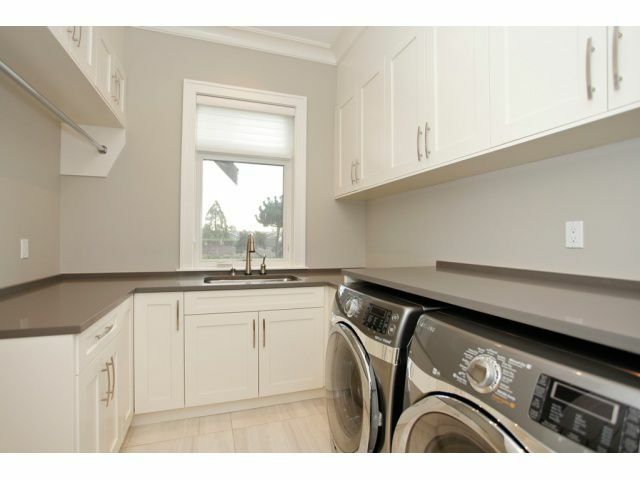 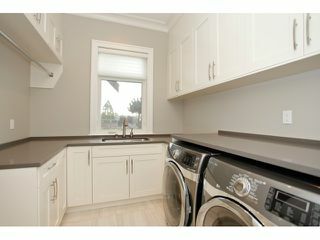 Four additional bedrooms each with private ensuite & walk-in closet. 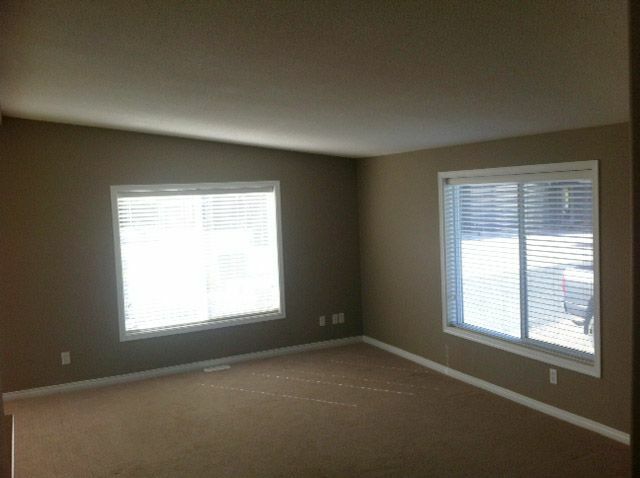 Hand-scraped heated engineered hardwood floors throughout. 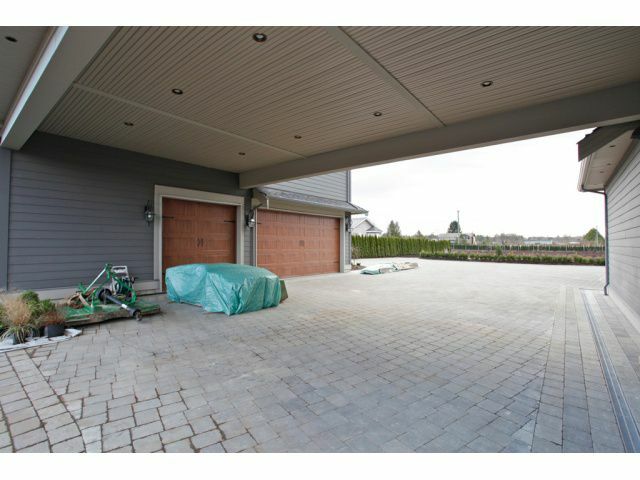 Parking for 10 with two garages & shop. 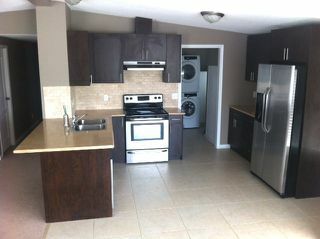 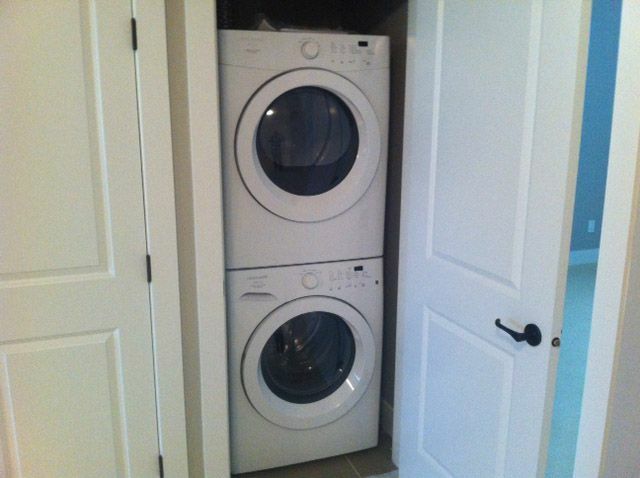 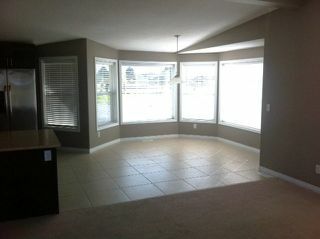 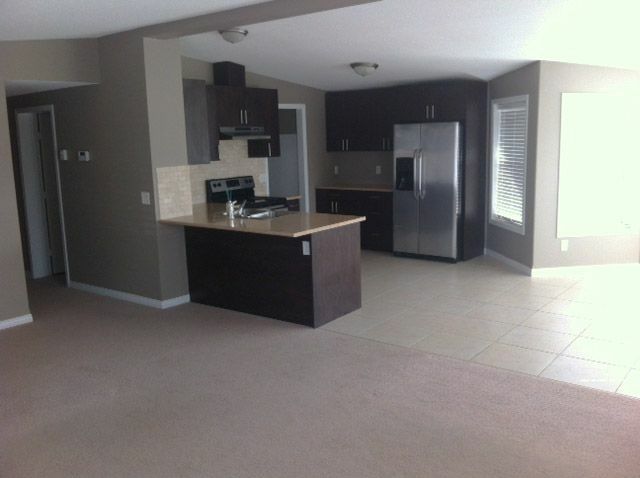 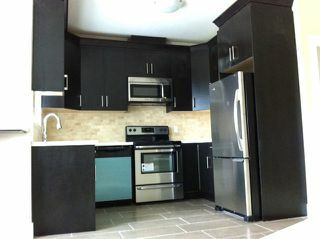 Like-new 1300 sq.ft. 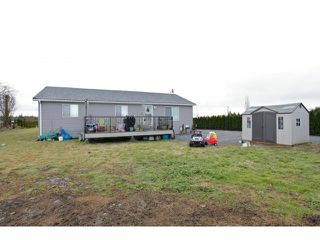 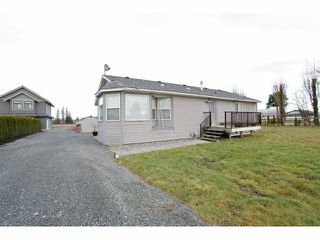 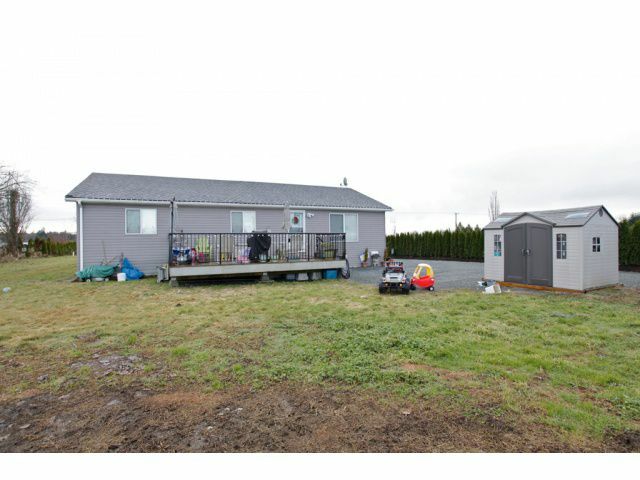 3 bedroom mobile home on property as well.